Cats and lizards need claws to climb, and birds need claws to perch on trees and snag prey, but if you start to form claws of your own, it’s time to call the podiatrist. Okay, humans can’t really grow true claws, but if you notice that your toes stay curled even when you try to straighten them out, you may have a condition known as claw toe. Claw toes are similar to two other foot deformities: hammertoes and mallet toes. Here’s how you tell them apart: while a hammer toe bends down at the middle and a mallet toe bends down at the end joint, this deformity affects all three joints, bending up at the base and down again at the middle and tip. Usually, the condition appears in all four of your smaller toes at the same time. Why do toes get bent out of shape? It has to do with your muscles. Remember that muscles work in pairs—whenever you curl a toe, flex your arm, or bend your knee, one muscle per pair tightens while the other relaxes. If the muscles get out of balance or have to spend too long in one position, tendons shorten and contract, making it harder for the weaker muscle to straighten the joint back out. With claw toes, this frequently happens as a result of wearing shoes that are too short—if you repeatedly cram your digits into a toe box that can’t accommodate them, forcing them to stay bent all day, they’ll eventually stay bent all the time. However, other factors can create this kind of muscle imbalance, such as nerve damage from diabetes or alcoholism. Aside from being unsightly, the deformity can lead to pain other uncomfortable complications. It may become difficult to find comfortable, well-fitting shoes, and painful corns can develop on the tops of your digits due to the friction. If you let it go too long and the case becomes severe, balance and ability to walk may be affected. In the early stages, claw toes are still flexible—you can gently push them back into place and move them around with your fingers, even if your toe muscles alone can’t straighten them. However, without correction, over time the joint will become rigid and lock into place. At that point, surgery is the only recourse, so it’s best not to sit around and wait for that to happen. 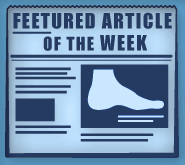 If the toes are still flexible, conservative methods are employed to help ease symptoms and regain as much function as possible. For starters, we might provide a splint or tape to gently put toes back in their proper position and keep them there. You will need to switch to shoes that provide enough space in the toe box—horizontal and vertical—to comfortably fit all your toes. No narrow shoes or high heels! If you have any related complications, such as corns, we’ll help you deal with those too. At home, you can try gentle massage and exercises to stretch out the toes and re-strengthen weakened muscles. Try picking up small objects (such as marbles) and placing them into a cup with your feet, or pulling around a towel on the floor. In the later stages, when the toes have become rigid, certain conservative methods might still provide some relief—special shoes to accommodate the arched digits or orthotics to support sensitive areas and deflect pressure away—but the deformity will not go away without surgical intervention. If you’re still experiencing pain or having trouble walking after all conservative treatments have been exhausted, it will be your only option. There are a number of potential procedures—we’ll help you decide which one is best for your condition and lifestyle. The experts at Foot Doctor of the East Bay have years of experience dealing with this common deformity. We will closely examine your feet, listen to your needs, and provide you with the highest quality care tailored just for you. Our three East Bay and Silicon Valley offices are just a stone’s throw from San Francisco, Oakland, and San Jose. Give us a call at (510) 483-3390 to set up an appointment today.